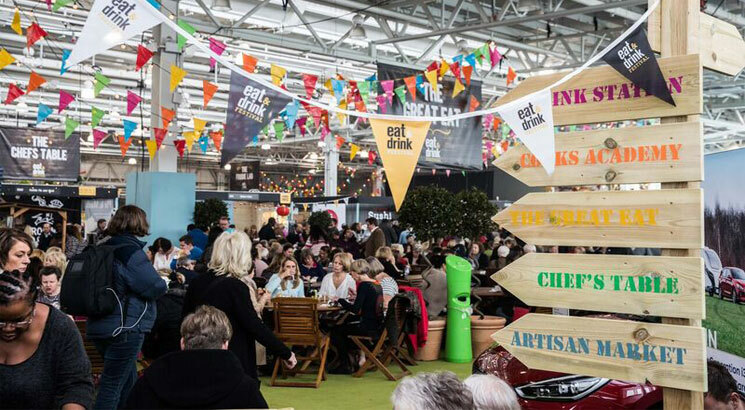 Visitors to Eat & Drink Festival come to explore the global menu and widen their taste buds, visitors come to try and buy new delicious delicacies from one of the many experienced exhibitors. Despite the literal warmth from the delicious freshly cooked food, The Great Eat hall offers a comfortable summer feel as customers are spending the day chatting away, listening to the sweet sound of street artists. Everyone’s got the chance to become a professional wine enthusiast and learn from the top chef experts as you pick n mix from a varied culture of food stalls. This year we have our best line up of celebrity chefs including Rosemary Schrager and Mark Heirs.